Xoriant's client is a large global storage management company with development centers, laboratories and sales offices all over the world. Our client's customer-facing technical operations units help the sales effort as well as customer implementation efforts for their storage management products. With the continuing proliferation of storage area network (SAN) and network attached storage (NAS) on the one hand; server and virtualization technologies on the other hand; combined with other storage-oriented software products such as databases, email systems, enterprise class business solutions and document/content management solutions, our client was facing an increasing demand to conceive, plan, execute, test and tune numerous configurations of hardware and software products along with their storage management offerings. Instead of incurring the overhead of hiring experts of different skills who are not likely to be busy all the time, our client was looking for a partner who would help plan and execute various activities of this technical operations lab by creating an offsite facility and bringing in the right expertise for the appropriate requirements. In order to leverage offshore cost benefits while retaining the flexibility to serve global clients, our client was looking for dual-shore solutions provided by a vendor who not only had the technical and domain expertise, but who could also provide near 24x7 support from the US as well as India (in a totally orthogonal time zone). Xoriant was chosen as the vendor to help out in this activity. 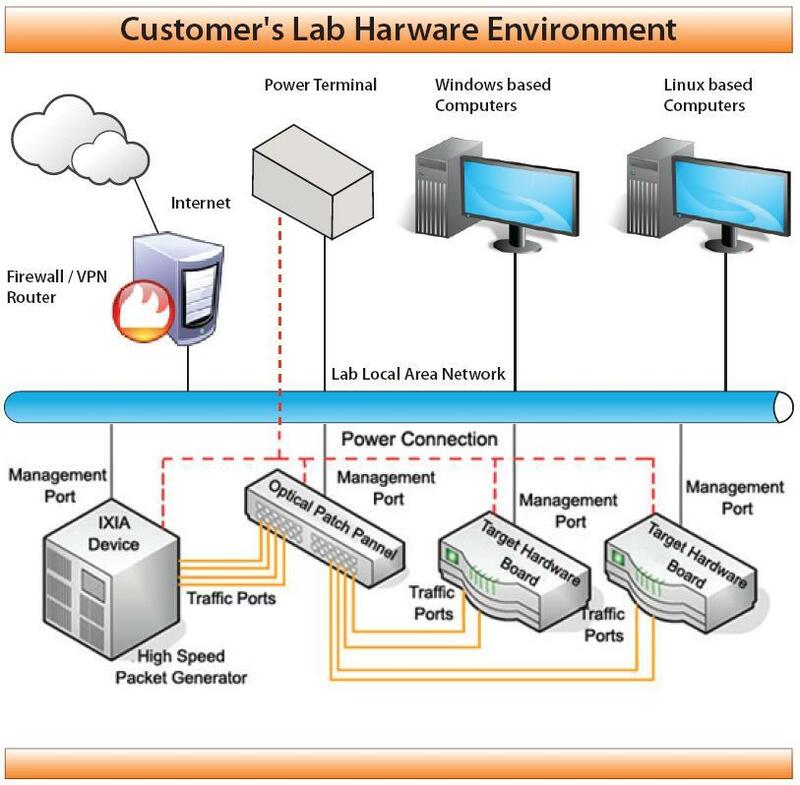 The Enterprise Lab resources include multiple equipment inventories to support these activities, comprising configurations from our client, and from our client's key partners. In addition, these activities involve varied skill sets ranging from storage hardware, firmware, and storage management configurations to match the infrastructure and application software. Proof of concept demos for pre-sales situations. The interoperability lab (ILAB) performs testing of all SAN and NAS devices with the latest hardware and software configurations. In interoperability testing, each combination of equipment is characterized by a 5 - Tuple. In a given combination, the host runs one of the OS as specified in the OS block. 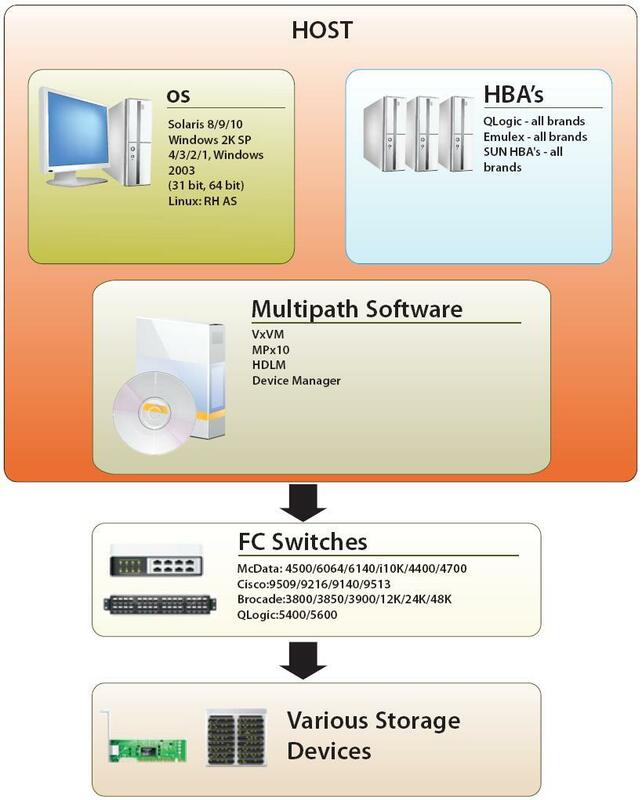 There could be one of the MultiPath software running on the host with one host bus adapter (HBA) installed. The host is connected to a fiber channel (FC) switch. The FC switch is in turn connected to the storage. Xoriant engineers certify various specified configurations. This interoperability certification is performed in the following steps. The team of SAN engineers uses remote VPN connection to connect to the client labs in the Silicon Valley, CA using high-speed Internet. Once connected to the lab, the team picks up a specific configuration to be tested for interoperability from the database. The team then reserves the equipment needed for the test using the web based GUI provided by our client. The team then studies the configuration by analyzing various components and interconnects them using optical patch panels and the web based GUI of the optical patch panels. Once the setup of the equipment is completed, standard interoperability tests are carried out. 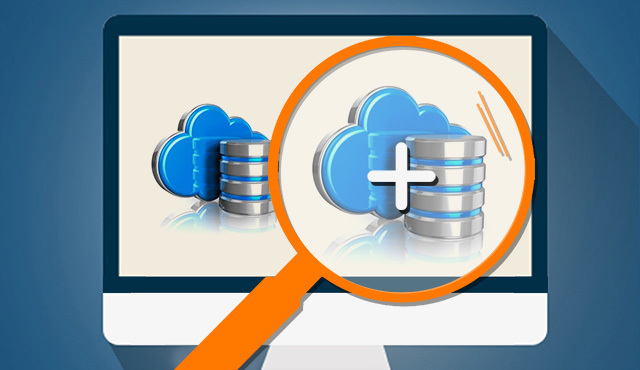 The results are verified and if the tests are successful then the client database is updated with corresponding entry as a certified configuration. If the tests fail then the configuration is further investigated, troubleshooting is carried out and the whole cycle is repeated until the configuration is certified. Automation team members have been involved in developing components for automating the integration test phases for a variety of data storage configurations. The team is responsible for developing test automation scripts that can automate the manual test process followed for Interoperability Lab testing, thereby reducing the time taken for testing/certification and improving the efficiency. The work was performed Perl and Shell Scripts, using the storage domain concepts. Understanding the architecture of the subsystem whose performance is to be analyzed. 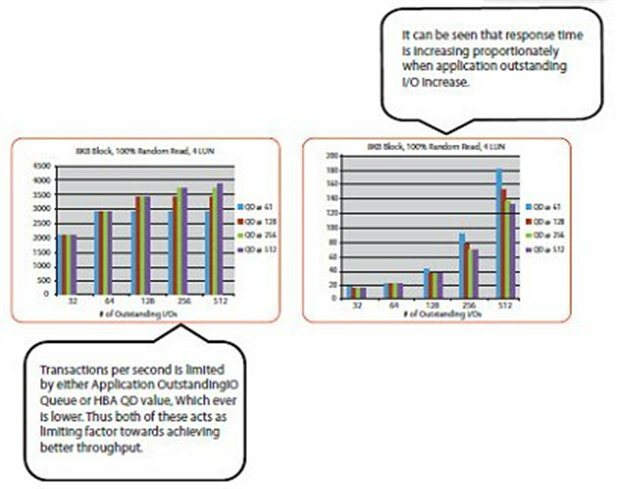 Determining the capacity of storage products by performing standard test process. Fine-tuning the subsystems to get better throughput. Collecting raw performance data and analyzing and interpreting it. The graph below shows the transaction per second, RT values observed for 8 kb, 100% Random Read operation. During this engagement, the Flash demo development team in India typically prepares multimedia presentations and demos to highlight various features of our client products for pre-sales situations. The development is done with the help of Flash, and other software packages such as LightWave 3D. The creative team interacts with the client demo team through STARboard and video conferencing. Typically, these demos are developed and tested using the demo lab at our client location in the Silicon Valley. Certain hardware specific features and functionalities relevant to the targeted prospect/customer of our client are showcased in these demos. In some cases, remote demonstrations are also carried out for certain customer specific requirements. "With storage management business on the upswing, technical the operations labs were becoming a limiting factor in our sales success. With timely and flexible assistance from Xoriant, we were able to significantly increase our technical sales support bandwidth and respond to many more customer situations, thus supporting our sales force in increasingly complex sales situations. 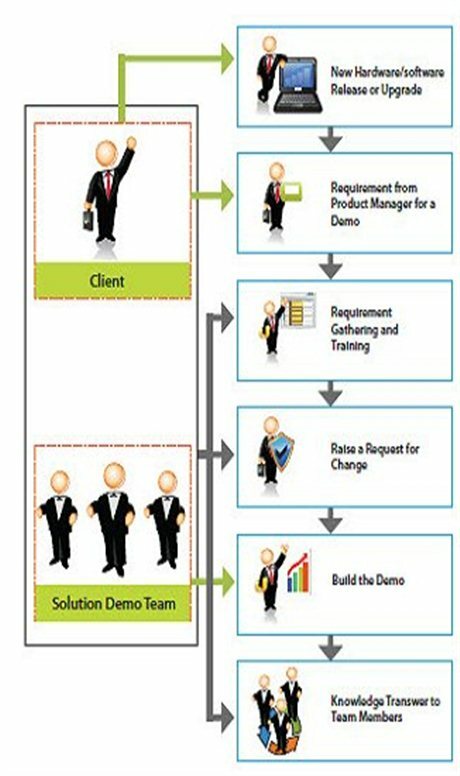 This model is going to be a precursor to our future collaborative sales support efforts".-Senior VP Technical Operations. Clearing of all Interoperability Lab pending backlog test requests and get current on sales/customer requests. Ability to measure and tune the performance of standalone client products as well as that of sales situation specific configuration, thus helping the sales cycles. Round the clock operation helps faster turnaround for Proof of Concept Demos for our client’s prospects/customers. Ability for the sales teams to show quick and sales situation specific demos to their prospects/customers, substantially increasing the chances of success. Our client’s Technical Operations organization oversees the Enterprise Lab functions to ensure that their storage is compatible with a wide range of heterogeneous products and consistently reflects the client’s high standards for quality.